PETALING JAYA (June 12): Kuala Lumpur is the 182nd most expensive city in the world, according to the latest cost of living survey published by international information and data provider ECA International. According to the company, the survey — which covered 475 cities worldwide and compares a basket of like-for-like consumer goods and services commonly purchased by assignees — found that both Malaysia and Thailand have risen in the rankings, with Bangkok entering the global top 100 for the first time. “In the case of Malaysia, especially in Kuala Lumpur, this shows that the inflationary impact of the imposition of GST (Goods and Services Tax) seems to have been brought under control. 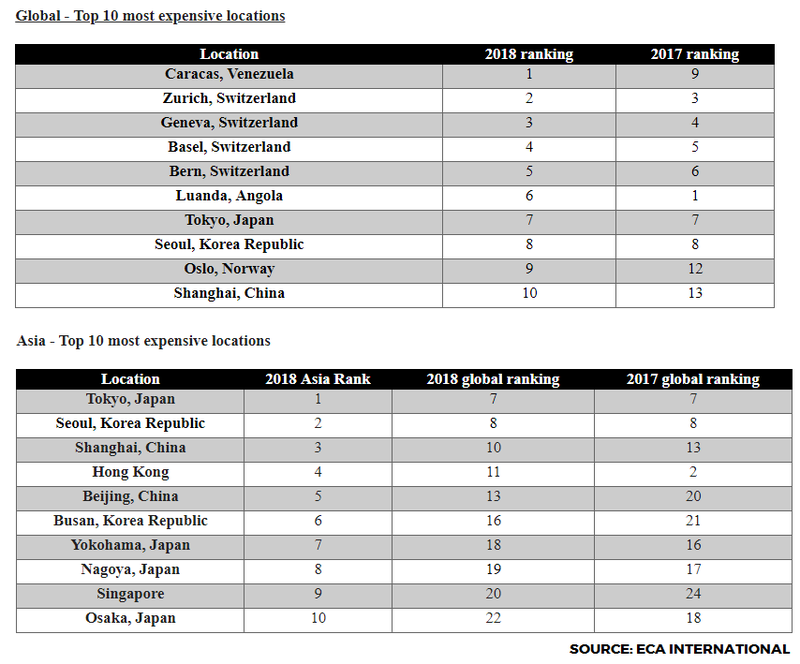 Rather, it is the relative appreciation of each country’s currency that saw Bangkok and Kuala Lumpur rise in our rankings to 99 and 182 respectively,” said ECA International Asia regional director Lee Quane in a statement today. Another interesting finding was that Singapore had re-entered the top 20 most expensive cities in the world. However, despite rising four places, Singapore is still ranked lower than its peak in 2016 when it ranked 18th place. “The prices of goods and services have only seen modest increase in Singapore over the past 12 months, in line with other similar economies in Asia. The rise in the rankings has been due to the relative strength of the Singapore dollar versus the US greenback in the past year,” Quane said. Meanwhile, Hong Kong saw a significant drop in the rankings, falling from the second most expensive location in the world to the 11th — its lowest position since 2015 — due to the fall in value of the US dollar against which the Hong Kong dollar is pegged over the last year, he noted. He added that exchange rates have been the main cause of movements in the rankings in the past 12 months. On the other hand, every one of the Chinese cities included in the survey has seen a rise in the global rankings from last year. Shanghai was the highest-placed Chinese city on the list at 10th place overall. 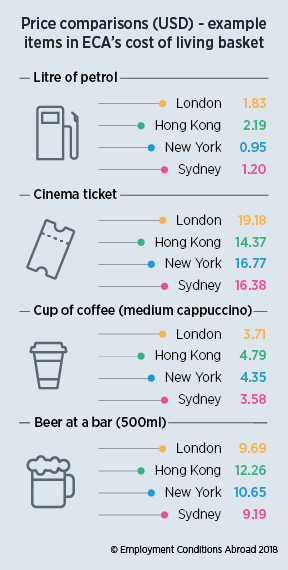 “There has been a major rebound for the Chinese cities in our latest Cost of Living survey. Last year we reported that Chinese locations had all dropped in the rankings but 12 months later the long-term upward trend has resumed, and they have risen significantly. However, the stronger yuan pushed all locations up in our rankings, with Shanghai overtaking Hong Kong,” he explained.